Colorado is famous for its landscape views — whether it’s a simple city sunset or a sweeping mountaintop vista. When we get the opportunity to combine true Colorado characteristics with local business (and especially with local food), we get pretty excited. And today, we’re doing just that! These NoCo rooftops, patios and restaurants all offer must-see views. And whether you’re overlooking Old Town Square or a small town lake, you’ll be doing it with some of the region’s best food. Enjoy! Part of Downtown’s newest landmark, The Elizabeth Hotel, Sunset Lounge is an all-weather, open-air lounge that overlooks Old Town. Inside, the view is art deco-inspired and complete with a grand piano, a stunning bar and huge windows that open to the patio. From there, you can take in the foothills, the charm of Downtown and, of course, Colorado sunsets. Ginger and Baker offers not one, but two restaurants with a view! Their River District building houses a market and bakery, a casual café, an upscale restaurant, a teaching kitchen and a rooftop lounge. The restaurant, called The Cache, is located upstairs with a full wall of windows that face southwest. Inside seats at The Cache offer an elevated view of Fort Collins with the Cache la Poudre in the distance. When you opt for a seat on The Rooftop, you can select from a lineup of craft cocktails and a snack-filled food menu while enjoying a bird’s eye view of The River District! Hearth Restaurant and Pub serves as Windsor’s local hearth and your new home away from home. The menu is packed with comfort food served with upscale flair and the setting offers a view of Downtown Windsor and Windsor Lake across the road. Whether you’re cozying up inside or lounging on the patio, you can take in the waterside view with a side of House-smoked Salmon. 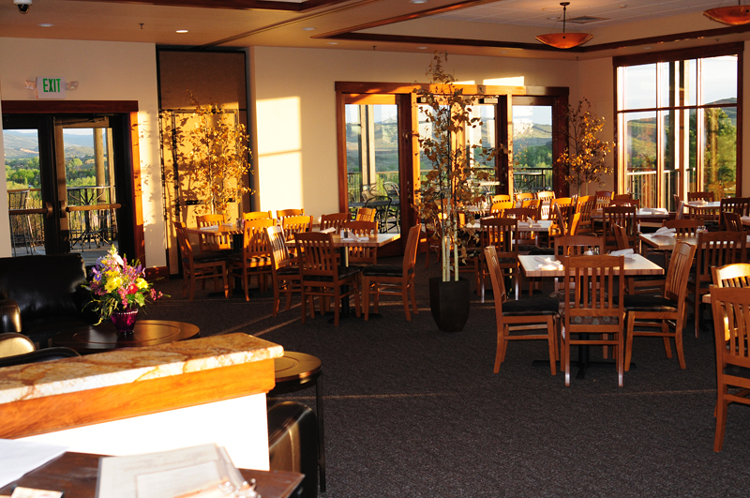 Whether you’re at the Mariana Butte Golf Course location in Loveland or the Downtown Estes Park restaurant, you’re guaranteed a view at Wapiti. After all, it’s part of their mission! As a true Colorado pub, they promise breathtaking views, unpredictable yet sunny weather, homegrown food and the largest, all-Colorado beer list in the state. As one of the best restaurants in the state, Chimney Park is perfect for a special night out, but even casual evenings are made special with these patio views! Available during the warm months, their cozy, private patio faces Boardwalk Park and Windsor Lake in the distance. 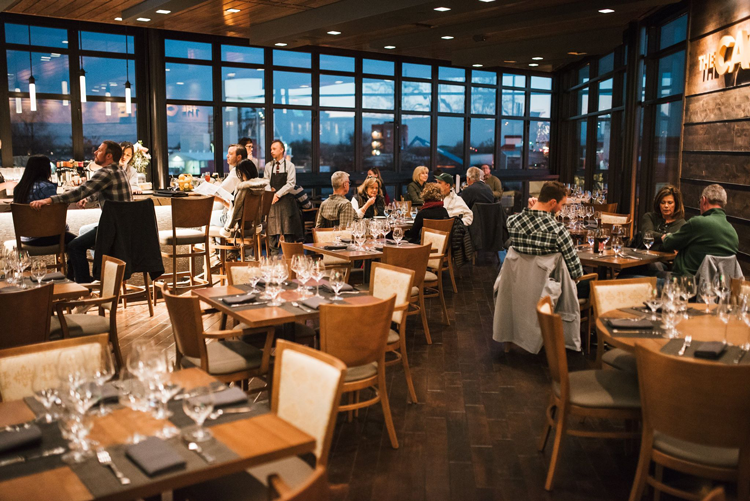 Pair that with dishes like Bison Tartare and Charred Spanish Octopus, desserts like Victory Hill Goat Cheesecake and an outstanding wine list, and we’re sold. Located in Old Town Square, the Fort Collins Illegal Pete’s location offers one the city’s favorite rooftops. 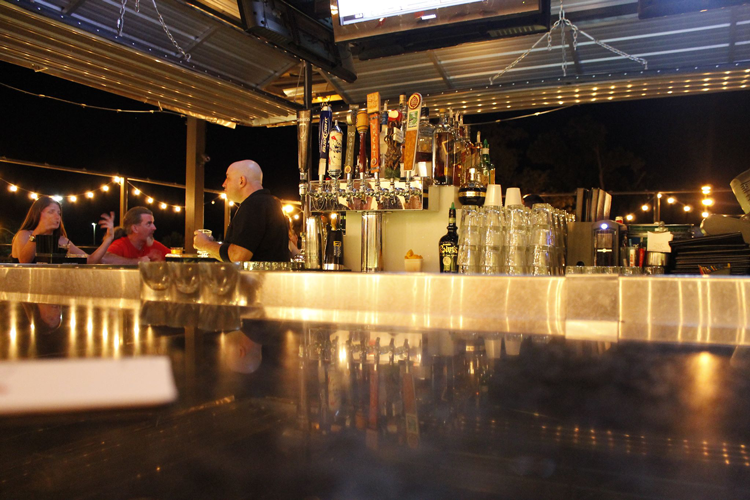 On the huge patio, you can get the full menu of famous queso, fresh tacos and burritos along with a second outdoor bar! Overlooking Walnut and just steps from the Square, it’s the perfect place to be for Downtown events or breathtaking sunsets. Tony’s is one of the oldest bars in Fort Collins. With a 2000-square-foot rooftop patio, they also offer one of the best outdoor destinations in town! Located across College Ave from the beautiful Armstrong Hotel, the rooftop is open year-round, so grab a local craft brew in the summer or a Hot Toddy in the winter and see FoCo from above. Though famous as an outdoor amphitheater, The Mish also offers a year-round restaurant with a patio overlooking the Cache la Poudre. Just like the music venue, the restaurant offers mountain air, sunshine and the rushing river — all alongside mouthwatering burgers and Odell beers on tap. 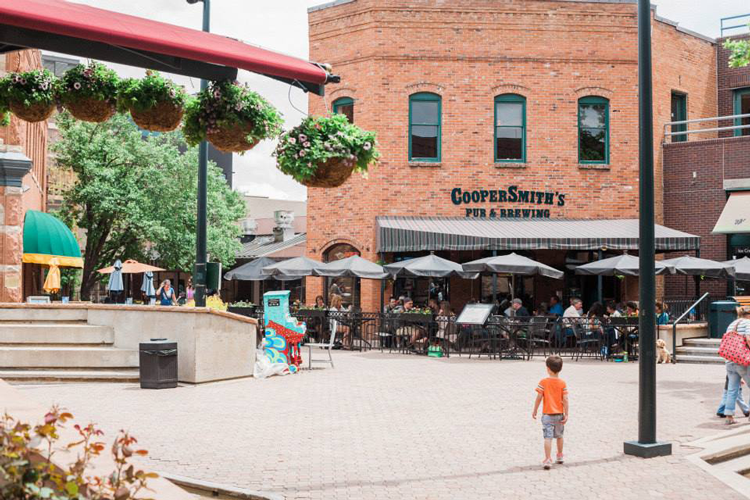 Because one of our favorite NoCo views is Old Town Fort Collins, we had to include CooperSmith’s famed Old Town Square patio. They have two patios, one on each side of a charming walkway. Pubside, you’ll also get a view of CopperSmith’s iconic silo while sipping a beer brewed in-house. A rooftop patio is always a shoo-in for a good view. 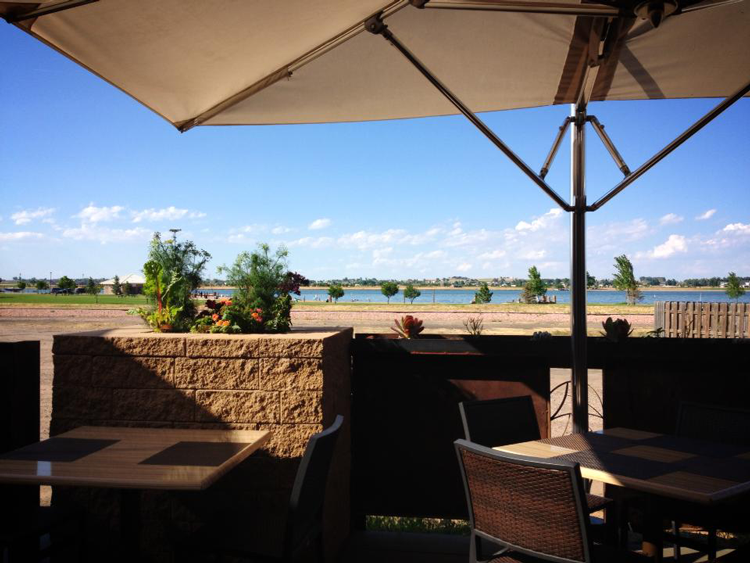 And at The Boot in Loveland, you can pair that view with a fun-loving atmosphere, weekly events and delicious pub food! 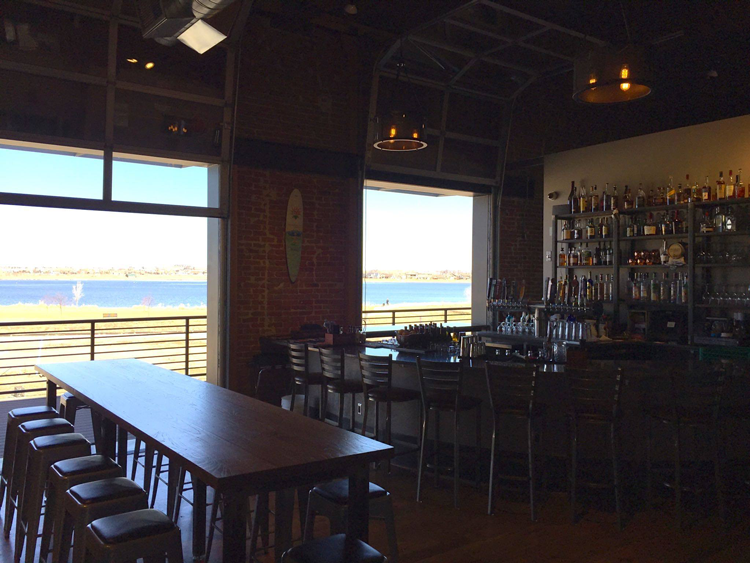 Let us know which local restaurant you go to for NoCo views — even if it’s not on our list!